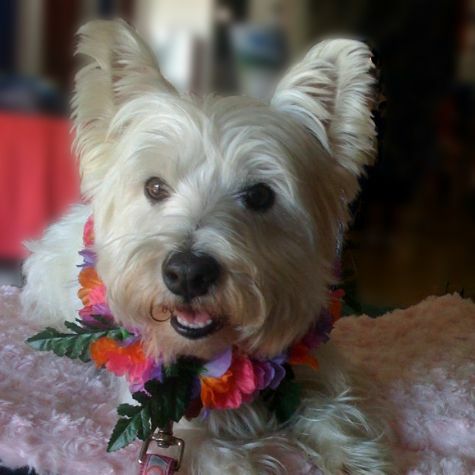 Kea is a sweet little West Highland Terrier. Her name means "white" in Hawaiian, and she loves to do the hula on her visits. She wears an official grass skirt and a Hawaiian lei, and she just makes everybody smile and laugh with her island style dancing. Of course she gets a cookie for each performance.